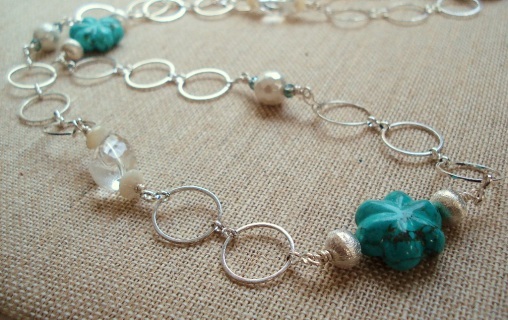 Turquoise flowers with faceted pearls, crystal quartz nuggets, pewter, crystal and shell beads on silver plated chain. 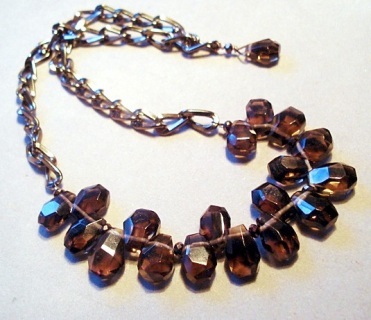 Size: 29"
Faceted smoky quartz on chocolate chain. 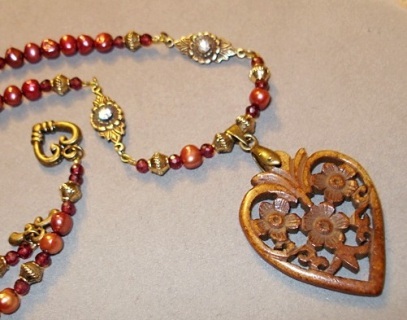 Finished Length: 19"
Wood heart pendant hangs on antiqued bronze, pearls and garnet with bronze and Swarovski crystal connectors. 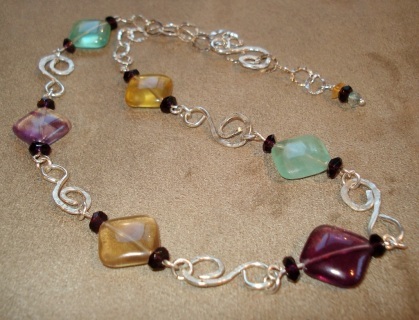 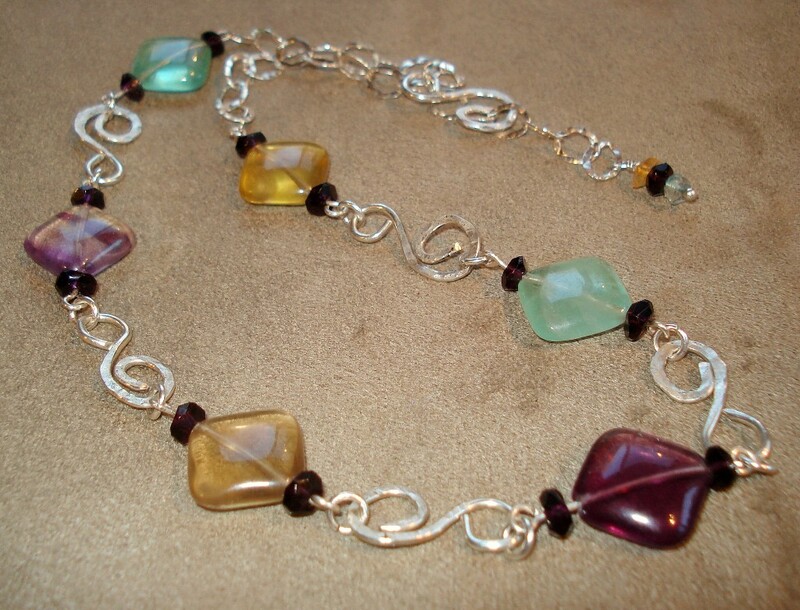 Finished Length: 19 1/2"
Fluorite stones with hand forged links of sterling silver.